Tim is an Associate in Carmody Torrance Sandak & Hennessey’s Litigation Practice Group. 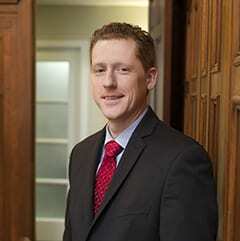 His practice focuses on civil and commercial litigation. Prior to joining the firm, Tim worked at an insurance defense firm in Hartford serving clients throughout the state of Connecticut. Tim has experience representing clients in many aspects of civil litigation including the specific areas of personal injury, products and construction defect litigation. He previously served as a law clerk to the Honorable Lubbie Harper, Jr. and the Honorable Thomas G. West of the Connecticut Appellate Court, and as a law clerk to the Judges of the Connecticut Superior Court.